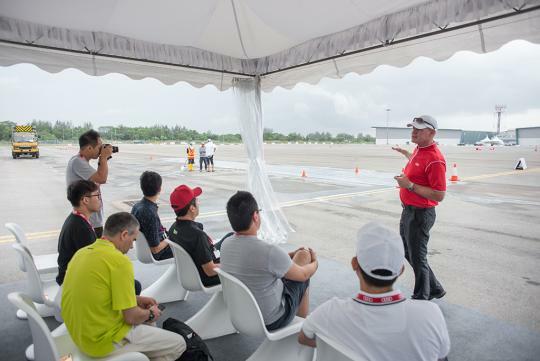 We got behind the wheel of Audi's extensive range to experience the engineering and performance that goes into each of their cars at Audi's Driving Experience 2015. Here's more unseen photos of what happened that day. 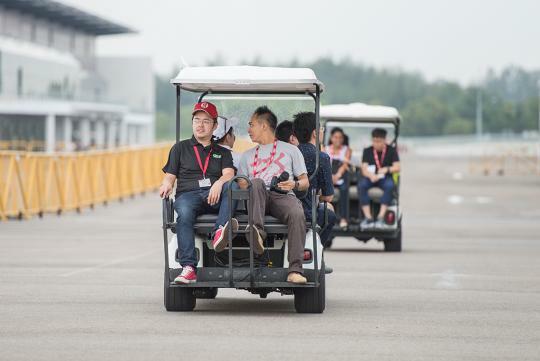 The first part of the event started off with us driving from one of the Audi showrooms at Leng Kee to the Changi Exhibition Center. It was a long drive towards the east but with the help of the A6's new 1.8-litre turbocharged engine that puts out a useful 320Nm of torque, we breezed through traffic effortlessly. At the Driving Center we were ushered to the first station where we got to try out how effective the Quattro system was on slippery conditions. 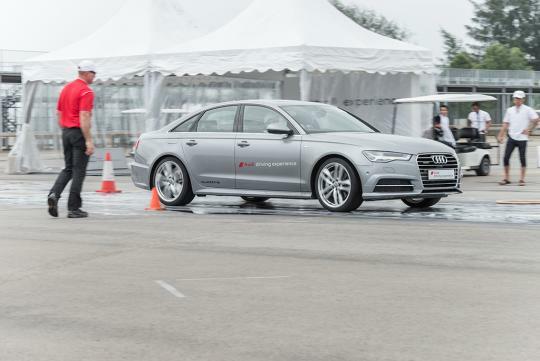 With the traction control on and me hard on the loud pedal, both the A6 and A7 moved off smartly with just a nary of wheelspin as the car tried to sense which wheel had the most grip. 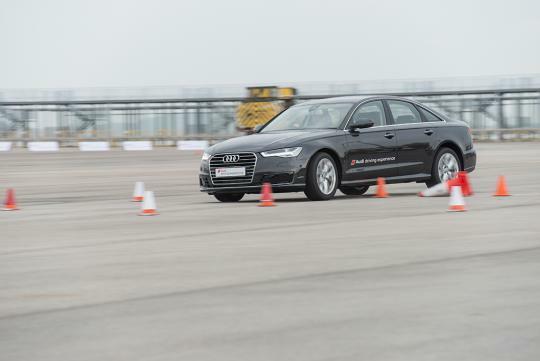 Next up, we tried the updated A6's advanced braking system. All we had to do was to brake as hard as we can from around 80km/h and swerve into one of the 'escape route' on our left or right. 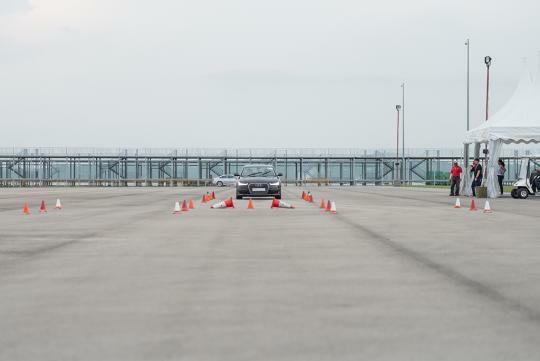 Interesting, most of us felt more at home swerving into the left 'lane' than the right one. Yes, motoring journalists aren't really into walking (just kidding). 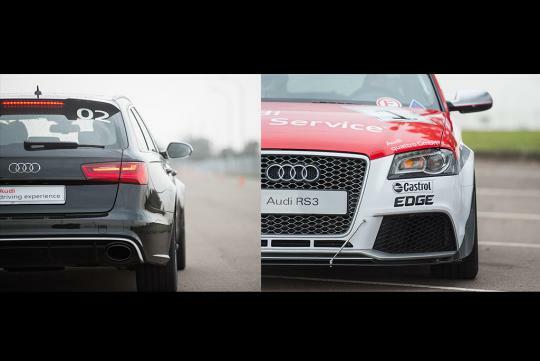 At the Acceleration exercise, we were let into the R8 Spyder and RS6 Avant. Needless to say, both were amazingly fast but having sampled both before, we kind of knew what to expect. 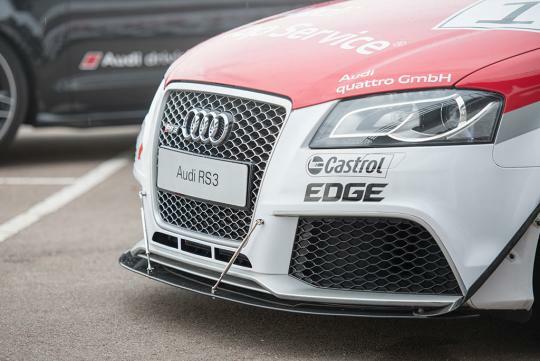 What we did not expect was this 'juiced-up' RS3 race car. 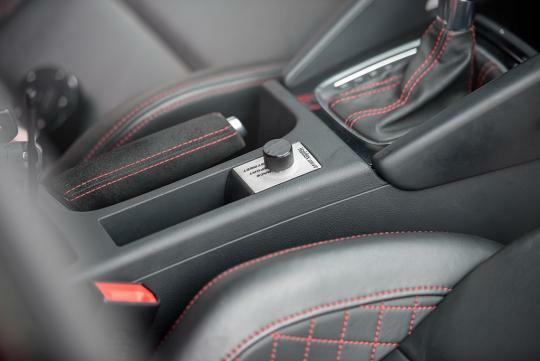 Built using a showroom-standard RS3 Sportback, it received some weight reduction and a light boost in power. Some of the power boost probably came from its straight through exhaust which made it pretty darn out! It also got itself a pretty huge spoiler which according to the professional driver, aided the RS3 Sportbrake rear end stability when slamming hard on the eight-pot calipers. 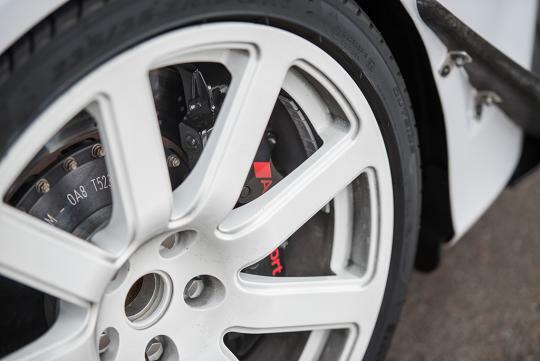 Yes, eight-pots calipers at the front! Another enhancement, the Haldex Drive system which allowed the driver to channel more drive to the rear wheels than what the factory settings allowed. Inside, most of the dashboard remained while door panels were removed as part of the weight reduction. 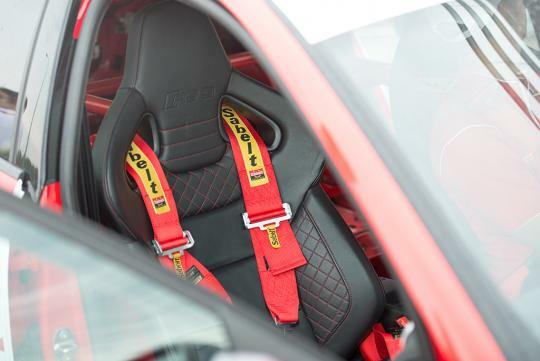 Elsewhere, a four-point harness and a 'half' roll-cage ensured the occupant's safety. 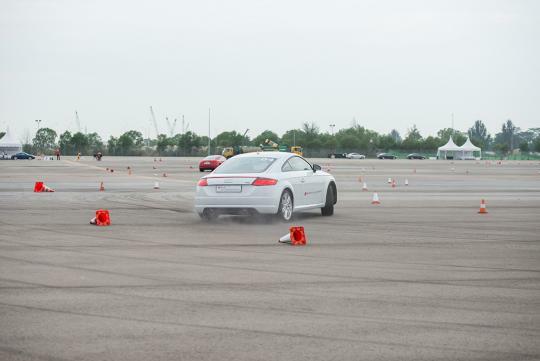 Lastly, Slalom station gave us a chance to push the spanking new Audi TT to the limits. While I have not driven the previous TTs before, I must say this new one is quite a good handler. On a closed circuit like this, you could feel the all-wheel drive system working and paired with a wonderfully rapid steering rack, it was great fun to throw around. I bet the instructor had great fun too!